“PROBABLY OUR best year in business,” claimed one broker. “I’ve never seen things this good and probably never will again,” said another. “If you aren’t doing well, you’re doing something badly,” enthused another. These were just some of the comments The Adviser received while compiling its annual list of the Top 25 Brokerages across the country, awarded to brokerages nationwide that excelled in broker productivity, volumes and book size for the 2013 calendar year. And it’s pretty clear the combination of historically low interest rates, a resurgent interest in property, and generally good economic conditions have combined for the best 12 months ever for mortgage brokers. Sure – as this year’s results attest – not every brokerage in the Top 25 had a record year (some even went backwards), but by and large 2013 proved stellar for most. Year-on-year loans written were up almost 5,000 to 125,216 and volumes for the year increased to $36.2 billion for the Top 25 alone. Interestingly, brokers employed by the Top 25 actually dropped slightly in the calendar year, falling from 2,441 to 2,229; which may be proof alone that it’s been a year of customers chasing brokers rather than the other way around. It should also be noted that last year’s eighth ranked brokerage, eChoice, with a loan book of $15.2 billion, chose not to enter the 2014 ranking. Now in its eighth year of business, Canberra-based Clarity Financial boasts a book valued just shy of $575 million. Company managing director Mark Edlund says his brokers’ large volumes were due to a strong admin support that allowed brokers to concentrate on client relations. “We also have access to St George Flame, Westpac Platinum, CBA Diamond and ANZ Premium, and those expressed services from the four majors really increase our efficiencies,” he says. St George was Clarity’s number one lender for 2013, with an 88 per cent conversion rate. In four short years, Geelong-based A1 has recruited a staff of 16 – with 10 brokers and loan writers – and amassed a book valued at $475,000,000. A1 says the average life of one of its loans is four years, 100 per cent of applications are submitted online and CBA was the brokerage’s number one lender in 2013; converting 91 per cent of loans in the previous calendar year. With 17 years of business behind it, Easy Loans now sports a loan book worth over $672 million. In 2013 the brokerage wrote some 666 loans that bought in $214 million worth of business. On average, each of the firm’s seven brokers bought in $30,574,939 worth of business, ranking them in 13th position overall for average broker volumes for the year. Easy Loans reports that approximately 90 per cent of its loans are now submitted online; its prime lender remains the Commonwealth Bank, who it enjoys an 85.6 per cent conversion rate with. With its focus on Adelaide and South Australian regionals Zobel has amassed a loan book worth nigh on $710 million in its seven years in business. Yet company director Andrew Zobel says things are only now starting to return to normal after the GFC. “Our biggest problem is with our exposure to regionals, the size of the loan never increases very much,” Mr Zobel admits. “A good increase in volumes doesn’t necessarily translate to a good increase in dollar transactions as well.” Mr Zobel says the business has been more about consolidation recently, but hopes to move it into expansion over the coming 12 months. Now in its seventh year and with a book valued at $800 million, CENTURY21 Home Loans’ CEO, James Green, says the focus over the next 12 months will be to broaden its attention away from just Sydney. “Melbourne’s our next target. We are looking to seriously recruit for that market and that’s testament the model we have works. But you need to be in Sydney – the loans are massive, the market’s booming, it’s the cream of the crop. The CENTURY21 name is the biggest real estate brand in the world; that means we can attract the best brokers and customers through 300 offices Australia-wide,” Mr Green says. With a head office in Sydney’s inner west it’s not surprising Home Loan Experts thrived in arguably the hottest property market in Australia. Seven years in business, employing nine brokers, the firm’s total book now tallies to just over $640 million; an increase of $121 million from the previous year. Yet company managing director Otto Dargan tells The Adviser he feels the industry faced a number of headwinds – restrictive LVRs, namely for FHBs, and governments’ attitudes to developers. “With the population expected to double by 2075, or even as early as 2058, this problem is only going to get worse as the demand for new housing increases,” Mr Dargan says. With a book now topping $1 billion, Smartmove has cunningly manoeuvred the business from a focus on Sydney’s north shore to capture all of the city and regionals. It has seen the recruitment of three new brokers in 2013 and settlements were up 45 per cent. Smartmove’s general manager Darren Little says: “We’ve always been a referral or repeat business and that’s now 83 per cent of our business and, after 10 years, it’s really starting to spread the network. Because of that we’re getting much more business further afield from our traditional core market,” Mr Little says. In business less than two years, this young Sydney-based brokerage is clearly on the up and up. Alliance Mortgage Solutions wrote 538 loans in the 2013 calendar year for total volumes for the year at $400 million - considering it only wrote $5 million in its previous six months of business, that's a staggering year on year increase of 4,000 per cent. When it comes to its book size versus year in business, things are even more favourable – Alliance scored a fifth place ranking for total book value versus years in business, with $270 million. Each one of its eight brokers wrote, on average, $50 million in loans in 2013, which meant it came fifth in this year’s rankings for broker volumes. Alliance’s prime lender is Westpac, who it enjoys an 88 per cent conversion rate with. 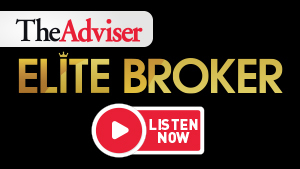 Iconic Home Loans is a Perth-based broking house who, in its five years in business, has already amassed a book worth more than $786 million, which powers them intoThe Adviser’s Top 25 for the first time. Employing 11 brokers and nine support staff, Iconic wrote 1,029 loans for the 2013 calendar year worth over $317 million, with an average broker volume just off $29 million for the year. Staying loyal to another Western Australian institution, Iconic rates Bankwest as its number one lender and says it enjoys a 97.3 per cent conversion rate. Although a young firm, Iconic reports the average life of one of its loans is 4.9 years. This Adelaide broking powerhouse saw its total loan book increase year on year by $300 million in 2013, to now equal almost $2.321 billion. Despite not improving its rankings from last year, KeyInvest still managed to add four brokers to take its broker headcount to 58. It wrote an extra 183 loans taking its loans settled to 1,891 for 2013, and total volumes for the year increased by $96 million to $451,795,920; which made KeyInvest the eighth biggest loan writer for the year. Its chief lender remains CBA, where it enjoys a 93 per cent conversion rate. Western Australia’s topped ranked brokerage again turned in a stellar 2013, writing 885 loans for a total volume of $318,621,309 for the year. That was up an additional 253 loans and $67 million in business year on year. Now in its 13th year in business, Mortgage Solutions has amassed a book valued at $1.175 billion, an increase of $112 million on the previous year. The brokerage also won two gongs at the recent Better Business Awards for Western Australia – Colin Lamb winning for Best Residential Broker and Kristie Byrne for Best Loan Administrator. In a year of extraordinary volumes for brokers, Club Financial arguably had a more forgettable year. The 20 franchise offices Australia-wide wrote 1,843 loans in 2013, 131 fewer than the year before. Total volumes for the year fell $91.5 million to just over $500 million. Probably the biggest worry was the fall in its total book size, dropping from $3.116 billion to $2.844 billion. This no-fuss Canberra-based brokerage continues to go from strength to strength, writing 1,467 loans in 2013 in the nation’s capital, with total loans settled for the year just shy of $382 million. Year on year, the firm increased its loan book by almost $242 million to $1.678 billion, while total revenues for the year came in just short of $382 million. Interestingly, Tiffen & Co was the biggest of the four ACT-based brokerages to make this year’s Top 25. Combined, the quartet alone wrote over $905 million of business in the 2013 calendar year in Canberra. With offices in Perth, Melbourne and Bunbury, Resolve has been a stalwart of the Top 25 list since its inception. Now sporting a loan book worth well over $3 billion, the company wrote the fifth greatest amount of business of any broker last year with total volumes of over $746 million (up $155 million on the year previous) and a mean average per broker of $22.6 million. Resolve reports that 100 per cent of its applications are now submitted online and, remaining true to its Western Australian roots, it says Bankwest is the firm’s number one lender in terms of volumes. Australia’s third biggest franchise reported an impressive 2013, writing almost $5.3 billion in loans over the year and adding some $1.4 billion to its overall book. However, each Loan Market broker, on average, wrote just shy of $11 million in the past calendar year, giving them a ranking of 28th for broker volumes. But for total book size, loans settled in the year, total volumes and book versus years in business, it ranked third for each. Despite increasing the actual loans written year on year by 14 per cent, its overall volume for 2013 actually fell by $435 million for the calendar year. The Australian Lending & Investment Centre is a phenomenal broking success story. This Melbourne-based powerhouse now sports a loan book worth $1.2 billion and that’s in less than five years in business – the 10th largest book in Australia. Again, for 2013, it retained third spot on the Top 25 rankings while each of its eight brokers wrote, on average, an astonishing $55.8 million in loans each last year and ranked it number one in the Top 25 list for average broker volumes last year. What was probably more interesting was the firm actually decreased its broker headcount year on year from nine to eight, but the average volume for each broker increased by $18 million over the previous year. Capping off its stellar past 12-18 months, The Australian Lending & Investment Centre also took out four awards at the recent Victorian instalment of the Better Business Awards, including gongs for Best Broker and Best Independent Office. Company managing director, Jason Back, recently revealed that expansion was definitely on the agenda, with plans for new offices in Sydney and Brisbane. “We know they’re extremely competitive markets, but we also love those places from a property perspective, but we’ve got to get our backyard right first,” says Mr Back. Certainly the 2013 calendar year was an exciting time for us at Aussie. We saw the market pick up nicely and it was year that we had a quality distribution channel with the right amount of people for that pick-up in the market too. Aussie recruited over 100 new brokers in 2013. Was that a case of good planning or good fortune? To recruit quality, new, brokers is a long journey. And Aussie has always been as good, or better than anyone, at consistent, quality industry recruitment, where we take a butcher, a baker, a candlestick maker and we turn them into a high-quality mortgage broker. We take a mix – either existing, successful people already established in the industry, or there’s a number too that are new to the mortgage broking game. But through our training, our procedures, and the support of the Aussie brand, we get them up and running as a professional mortgage broker. Was 2013 one of those one-off record years? Put simply, are they numbers that can’t be sustained? We’re already ripping apart our results from last year with our 2014 results. Already, this year to date, we are substantially bettering our results from last year in a material way. And that’s not because the market is picking up even further, it’s because we have such a balance between having some great brokers aboard, having a balanced distribution, and this great household brand that consumers still make their first call. On the downside, Aussie actually ranked 25th for broker volumes. Is that even a problem when you’re writing over $13 billion annually in loans? Really? In terms of productivity the average Aussie store settles around $5 million per month and our average salesperson settles up to $1.5 million per month, so I’m not sure how that’s worked out. I have no answer for you. There are probably four things that have stunned me in 22 years in this business and you’ve just come up with the fourth. All I can say is I’m absolutely shocked and it’s all news to me. How do you see the next 12 months playing out for Aussie? We’re in the most commoditised industry you can be in – it’s home loans, it’s housing; these things are still at the top of people’s lists to do with their lives. Home ownership is basically everybody’s dream, and rates are at the lowest that we’ll probably see them in our lifetimes. Sure, they could even go lower, but in all my time in this business I’ve never seen rates so low and conditions so good. Sure, things can shift to the negative very, very quickly, but the fundamentals are still very strong. The fundamentals for this calendar year should see strong, solid, profitable growth. Arguably the pie’s not getting any bigger. Does Aussie expect the bigger players, the majors, to go even harder for their slice of it? The whole thing is the pie is getting bigger. The pie for the mortgage broking sector is fast approaching 50 per cent of all the home loan transactions in Australia. And we believe if we’re not there yet, then we’ll be there pretty soon. We’re about to see a time where it’s actually more uncommon for a borrower to go direct to the lender. From Aussie’s perspective, what areas do you see having significant growth in the coming 12 to 18 months? If there’s an issue for Aussie it’s finding, recruiting and retaining quality brokers. Adding to that, we are looking into more areas; primarily regional areas where we may not have a presence as yet or we don’t have the brokers to meet the demand. We’re seeing more customer enquiries than ever before – be they walking into our storefronts or by phone. We’ve never had more enquiries than we’re seeing now. Traditionally, the franchise model best suited a more inexperienced broker. But would you agree that’s arguably no longer the case? Yes, we’re finding some very experienced brokers coming onboard with us, and they’re beginning with the end in mind; that’s to get stuck into it, to build a business for five to 10 years under the Aussie brand, in an Aussie store, in an Aussie region, and then they want the ability to sell that business if they can. And we’re seeing more and more franchisees going that way. The Aussie brand is very saleable and I think there are a lot of brokers who build businesses in this industry and they can’t sell them, they’re the one-man bands.